This article reviews the 2005 bankruptcy reform, examines statistical evidence of the effects the reform had on mortgage default rates, and discusses the need for a repeal of bankruptcy reform to build a more stable mortgage and real estate market. High numbers of mortgage defaults were in the works even before the 2008 financial crisis began to show its effects on California’s real estate market. The Bankruptcy Abuse Prevention and Consumer Protection Act of October 2005 (bankruptcy reform) completed construction of the bars which would condemn so many homeowners to their current negative equity prisons. Lenders and Wall Street (collectively, the rentiers) reveled in their purported victory, oblivious and (worse) indifferent to how their actions would impact the economy beyond the confines of their own balance sheets, by then replete with distended mortgage assets. The financial crisis would show their celebration was not without cause: bankruptcy reform was one of the saving graces of Wall Street mortgage bankers during the onslaught of the housing crisis since their solvency was no longer imperiled by bankruptcy judges’ cramdown authority or proper mark-to-market accounting standards, both protections having been removed by bankruptcy reform and congressional fiat. To understand how bankruptcy affected a change in mortgage defaults, a brief review of the 2005 bankruptcy reform is instructive. There are two main types of bankruptcy available to individuals: Chapter 7 and Chapter 13. In Chapter 7 bankruptcy, a homeowner’s home is sold to satisfy his unsecured debts (e.g., credit card debt, medical bills). Bankruptcy reform also made both types of bankruptcy more expensive. Attorney filing requirements (and thus, attorney fees paid by clients) were increased, credit counseling was mandated and bankruptcy petitioners were required to complete a course in debt management while the bankruptcy was in process. Previously, the average cost for Chapter 7 bankruptcy was $900; post-reform, the average cost increased to $1,500. For Chapter 13 bankruptcies, average costs rose from $3,700 to $5,700. None of this helps a negative equity homeowner keep his home, as was the case prior to the 2005 bankruptcy reform. The single most important change homeowners experienced under bankruptcy reform was the removal of the judicial authority to grant cramdowns. Editor’s note — While credit counseling and debt management courses are theoretically sound measures for those facing bankruptcy, the increased “cost of entry” into bankruptcy produced by reform effectively nullifies the good intent. The very same people who would benefit most from counseling and debt management do not have access to it simply due to the high fees required to file. how much they must repay when they file bankruptcy. Editor’s note — For simplification purposes, in the discussion that follows, the home is the only asset considered, but of course assets can include other properties owned, vehicles, jewelry, etc. If no home equity exists, the homeowner filing for bankruptcy must annualize his average family income during the six months prior to the bankruptcy filing, then compare that annualized average family income with the median income within the state. If the annualized family income is less than the state median income, the homeowner may file for bankruptcy under Chapter 7. But the home cannot then be retained and must be sold or foreclosed upon. If the annualized family income is greater than the state median income, the homeowner must calculate their non-exempt income to determine whether they file under Chapter 7 or Chapter 13. The amount of the individual income exemption is then subtracted from the homeowner’s actual income to arrive at the non-exempt income. If a homeowner’s non-exempt income is less than or equal to $2,000, they may choose to file under Chapter 7. If it is greater than $2,000, they must file under Chapter 13. As a result, in Chapter 13 they must use all of their non-exempt income for five years to repay their debts. Thus, the family’s standard of living will deteriorate during that five-year period. Editor’s note — Bankruptcy reform also capped homestead exemptions at $125,000 for homeowners who have owned their homes for less than 3 1/3 years. In California, this only impacts one of the three tiers of homestead exemptions, that of the aged or disabled, which is currently set at $175,000. five years’ worth of non-exempt income under Chapter 13 (see above calculation to determine non-exempt income amount). Since individuals have to pay more for less protection under bankruptcy reform, researchers predicted that defaults would increase across all types of loans. This is especially logical for homeowners, who now pay more to file for Chapter 13 bankruptcy, have to pay more back under their bankruptcy repayment plans and receive no relief on their negative equity position. More specifically, homeowners whose income exceeded the thresholds set under the income-only means test or the income/asset means test were expected to experience the greatest increase in percentage of mortgage defaults. As you will see, they did. The data used to determine bankruptcy reform’s impact consisted of 663,412 first-lien 30-year mortgages originated in purchase or refinance transactions between January 2004 and December 2005. Loans were separated according to whether they were prime loans (353,225) or subprime loans (310,187), and monitored from a period lasting from three months prior to bankruptcy reform through three months after bankruptcy reform. Editor’s note — Important to note is that the end of the sample period is still well before the wave of defaults caused by the financial crisis and ensuing housing bust. 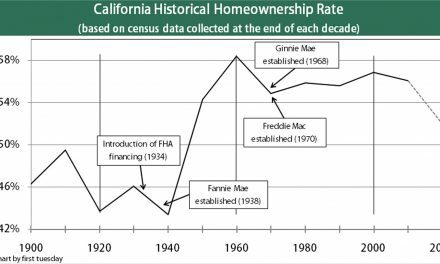 Also, the homestead cap referenced above also played a role in whether a homeowner was more likely to default on his mortgage after bankruptcy reform, but due to its limited effects in California, it is not thoroughly digested here. Post-reform mortgage defaults rates were compared to pre-reform default rates. The results followed the expectations: in prime loans, mortgage defaults rose 23% after bankruptcy reform. For homeowners with subprime mortgages, mortgage defaults rose 14%. Breaking the results down further, 27% more prime mortgage homeowners subject to the income-only means test defaulted on their mortgages after bankruptcy reform. In contrast, 5% more subprime mortgage homeowners defaulted after bankruptcy reform. With the income/asset means test, prime mortgage homeowners defaulted 11% more post-reform; subprime mortgage homeowners subject to the same means test defaulted 11% less than their pre-reform counterparts. To explain the decrease in mortgage defaults for subprime mortgage homeowners subject to the income/asset means test, researchers indicated that the rate of mortgage defaults for subprime mortgage homeowners increased through the entire sample period, however the rate of increase slowed post-reform. While mortgage defaults were up overall in subprime mortgage homeowners, as a group (likely first-time homebuyers) with generally fewer assets and generally less income, they are more likely to “pass” the means tests and qualify to file for the cheaper and less financially burdensome Chapter 7 bankruptcy. Thus, the barrier posed by bankruptcy reform is lower, and mortgage defaults are thus less pronounced than in the prime mortgage homeowner category. By the same logic, prime mortgage homeowners have more to lose (generally more income, generally more assets) when filing for bankruptcy — they are more likely to “fail” the means tests and be forced to file under the more expensive Chapter 13 bankruptcy. And with cramdowns off the table, what impetus does a negative equity homeowner with money have to pour five years of their non-exempt earnings into paying down a black hole asset? So, they take the rational strategic default, as dictated by the 2005 bankruptcy reform. Then their future income is theirs. The researchers chose a sample period which began and ended prior to the onslaught of mortgage defaults precipitated by the financial crisis. Thus, they could more accurately track the impact of bankruptcy reform alone. Consider their findings in relation to California’s current landscape. The Great Recession’s brutal housing price adjustment and the current ongoing jobless Lesser Depression have created a population of financially insolvent California homeowners who have a decreased ability to support their families, and pay for housing. For homeowners whose finances are stretched thin by unemployment and mounting debts, bankruptcy proceedings still offer debt relief for unsecured debt (e.g., credit card and medical debt) and buy time to remain in the home while making no payments, generating net savings after paying all bankruptcy costs. In prime loans, mortgage defaults rose 23% after bankruptcy reform. For homeowners with subprime mortgages, mortgage defaults rose 14%. However, as the researchers revealed and is painfully apparent to anyone who keeps tabs on the real estate market, post-reform bankruptcy is powerless to provide long-term relief for the largest and most devastating type of homeowner debt — the mortgage on a negative equity home. For an underwater homeowner, the automatic stay is just an extension of the inevitable; a variation of the extend-and-pretend loan modification game, just from a different source (the court stay, rather than lender forbearance). The cramdown prohibition, increased fees and more restrictive filing rubric stifle the ability of homeowners, and by extension the housing market, to recover from this financial crisis. Without cramdowns, the majority of homeowners who file for bankruptcy will lose their homes, take a major hit to their credit (and their future economic opportunities) and add yet another property to a saturated multiple listing service (MLS) market already struggling to find willing and able buyers. Like it or not, strategic default is the future to which we commit the housing market in California if we do not address the flaws in our government’s treatment of homeowner debt. Each time the housing market takes a dip and jobs are lost, we throw the majority of homeowners — the 99% — to the mercy of lenders, unwilling to change their improper societal behavior at the risk of losing profits, and to Congress and the administration, unwilling to legislate against lenders at the risk of losing their personal funding. There must, in any democracy, be a third and independent party – the courts – who can step in and break the social stalemate. After years of deregulation and lender missteps leading directly into the financial crisis, a reform of the reform would be a critical step in the right direction. Want to know more about bankruptcy’s ties to real estate? Stay tuned for our upcoming article on bankruptcy and single purpose entities (SPEs) holding and operating real estate. Thank you for your good work, i am sure many people r thinking of your good help with this mess creeated by bankers and politiciens for enslaving all of us. This article is prescient, well researched, and well composed and written. I believe it’s the best FT article I’ve ever read. 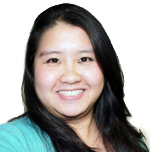 Kudos to the author, Giang Hoang-Burdette. Keep up the good work! One would think that FT would be focused on the facts of the meltdown versus buying Washington’s fairy tale that it’s all Wall Street’s fault. We know that the biggest culprits were Frank & Dodd’s abuse of power that forced the banks to hand out the lousy loans, the federal created oligopoly of the Big 3 rating agencies that stiffed Wall Street with phony ratings on those same loans, and Fannie and Freddie who reeked with incompetency and corruption (yet not a single criminal charge was brought and they are exempted from the new regs!!!). It’s an embarrassment to the industry when one of its biggest voices continues to dispense the media’s Kool Aid. I agree with Joseph….the 99% has the numbers to over power the banks & politicians…our only road block is enough people have not become aware of that fact…..But it is happening slowly. It is articles like this that help….Stay Informed. This entire morasse of the housing markets is a perfect storm of Bankers and politicians lying in bed together for the greater profit of the corporations. It doesn’t take into it’s equation the parasitic nature of leverage visa vie borrower and it it ‘s doesn’t care. This is how a host is killed by such a parasite. Regardless of how the 99% attempt to solve this issue the banks will maintain to the very end their one and only one intent which is to keep principles the same, no write downs. In the end it will all end with a financial meltdown of our 99% and so will the great economy of this country. We need a revolution. This mess is a product of the politicians and the government. The politicians forced the lendors to lend to unqualified indiniduals who didn’t have a prayer of making the payments. Who wouldn’t “buy” a house with nothing down and no consequences for default….it beats renting and you can get a 1st quality place better than the rental. There were certainly enough real estate agent willing to get a commission. Then enter the “flippers” to drive up the prices and they had no risk with nothing down. A normal market needs to require “skin in the game” so that the buyers are more discerning and the lendors more stringent and the market orderly. Now to Moveon.org funded by George Soros, a self proclaimed Nazi sympathizer whomade his billions by encouraging and pushing government policies that ended in currency defaults on the backs of the little people!!!! I am a 78 year old retired California attorney, with my practice having been focused on individual and small businesss bankruptycy. I retired just a few months after the bankruptcy “reform”. Actually, the bankruptcy “rerform” ruined my practice and led to my exit from the profession of law. My wife, who had been my paralegal, unexpectedly died just a few months before the bankruptcy “reform”, and the replacement paralegal that I hired bogged down under the burden of the more extensive filings that were required, getting me into trouble with bankruptcy trustees and clients, and exhausting the resources that I had remaining to continue my practice and serve my clients, which ultimately put me in a position in which I faced potential discipline by the State Bar, at which time, discouraged and despairing I just gave it all up. Coincidentally, earlier today I posted a comment on MoveOn.Org very much to the same effect as your article, but with much less detail. I just subscribed to your email newslettter today, and I look forward to reading more about this subject and about other related subjects from your perspective of the defense of the 99% and of the beleagured homeowners of California.